Collaboration is an important 21st Century skill that is of critical need for our students as the future participants of industry, entrepreneurial opportunities, education, and government. Collaboration is a valuable commodity that in its appearance seems more art than science, when the opposite is just as true. Working together for a common goal can be more challenging than it would appear. A common example is group work. 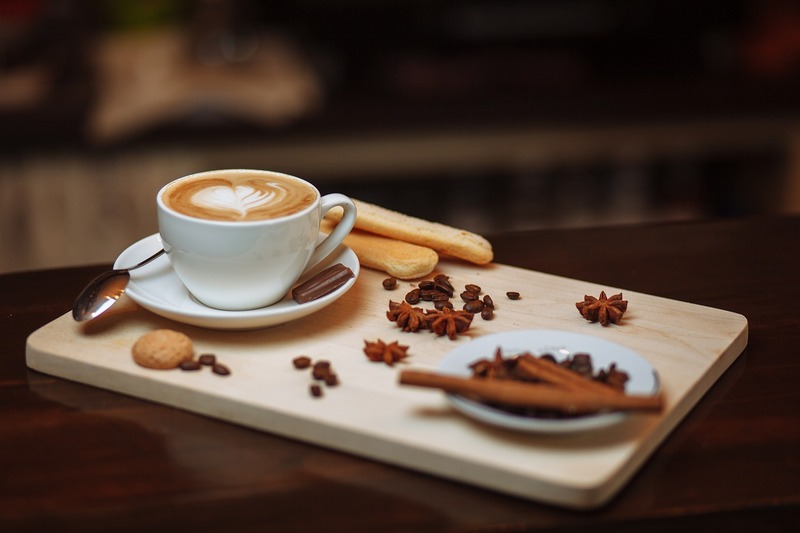 One or two team members do the work while other teammates are either not included in doing the interesting tasks; or they choose to stand aside, content to let the others do all the work, before showing up to share in the credit. These occurrences are not unique to student teams. There are many stories where adults felt excluded from doing the interesting work, or having a voice in the decisions. There are also people who take credit for the work done by others. One solution is to teach the Science of Collaboration to students so that they become skillful users by the time they enter colleges and careers. Often collaboration is presented as something that we just do. Put students into groups. Some how, sometimes magically, they work together. If there are no arguments, everyone takes on tasks, and work is completed, collaboration must be going well. This is not collaboration. It’s parallel play. Collaboration is at its best when decisions are not easily made because there are a diversity of ideas. Everyone wants their voice to be heard. People are effective cat herders. Functioning in this environment and coming out with ideas larger than the group and decisions are made with complete support and understanding by the team requires explicit tools and skills for effective collaboration. Collaboration, as with all 21st Century Skills, should be taught, coached, and assessed with the same thoughtful considerations as done with content of an academic course. Putting students into teams an expecting effective and thoughtful collaboration is like rolling a ball to new recruits and expecting them to play football or basketball at a high level of skill and strategic thinking. Not likely meeting expectations. Take time to research the purpose and value of Collaboration. Explore different definitions, such as from the Partnership for 21st Century Learning, and then adopt or craft one with all relevant stakeholders. There are resources to be found, evaluated, and used to design how a culture of Collaboration should look like in a classroom or school. Henrico County Public Schools created a framework guide for how they teach, coach, and assess effective use of Collaboration and other 21st Century Skills. 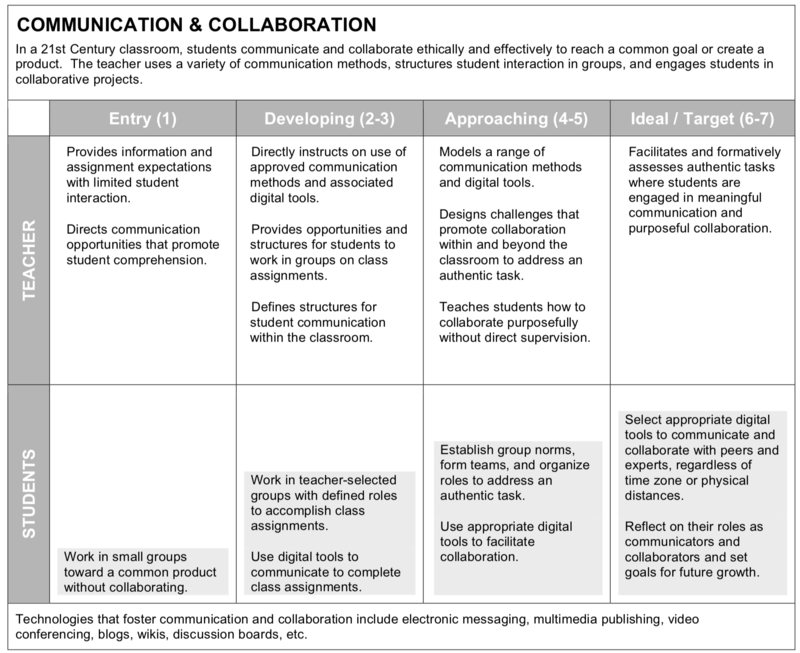 The TIP Chart is used by teachers to reflect on how they are teaching and coaching Collaboration, and how students should be applying the skills as part of the learning experiences. The progression from left to right moves from teacher directed to student-led. Because of the depth in application of collaboration, the learning cycle from Developing to Target is continuous. Coaching Collaboration is a Three-Way street. Growth occurs based on feedback from the teacher, peers, and self-reflection. Using a rubric might help by describing what Collaboration looks like and does not look like. This approach can lead to assessment of the practice. I’ve noticed from experiences with many schools that teachers and students struggle with how best to use rubrics without other supports. The Coaching Chart can be used by students for independent self-reflection, and for supporting and giving feedback to their peers. Teachers use the chart to coach students on how to use the chart as a support tool for the team, and to give feedback on how a student is progressing. Once in place, strategies that depend on Collaboration can be monitored and evaluated for success by the teacher and students. This tried and true activity is a quick way to get students into discussion pairs, maximizing time on task. If students sit in pairs or quads, they can conveniently turn to their neighbor who is their designated partner. There can also be a “Left” and “Right” Elbow partner with quads. This 4-step guide teaches and supports conflict resolution by students. Teachers do not intervene until the 3rd step. Read this article for details. Provide learners with this list of talking prompts that address a variety of conversation responses. Some areas include framing a respectful disagreement or agreement to asking clarifying and probing questions. Explore the options in more details in this article. This is how critiques of work products should happen. Yet without guidance, the feedback can turn into an open dumping of disconnected ideas. The receiver can become overwhelmed and be unable to hear anything useful. Clear starter stems, as seen with Talk Moves, helps set the frame for the feedback. The following starter statements teach how to give feedback that is constructive, specific, and kind. 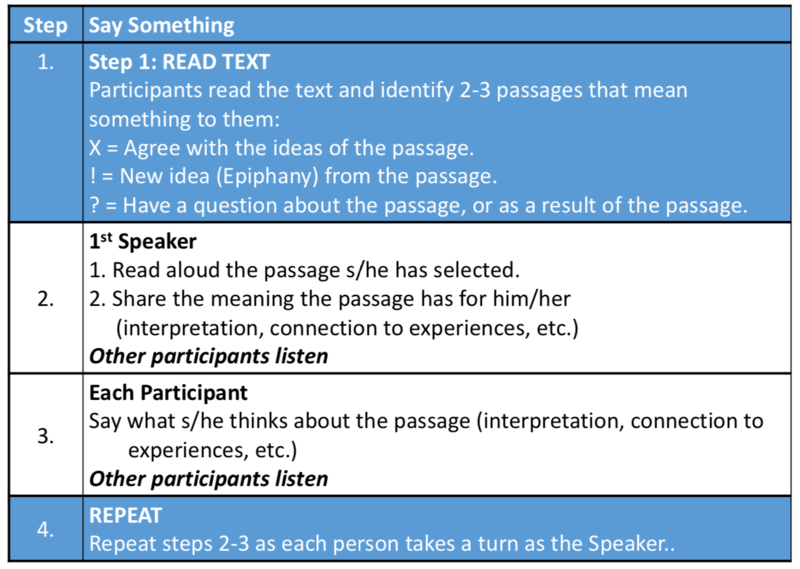 This reading protocol is a structured conversation for unpacking understanding of reading assignments. Learners dig into passages to share their thinking about the content. Give learners time to collect and organized their thoughts before answering questions or sharing ideas in small groups and whole class. Explore this article for ideas: Extending the Silence. Use this silent activity for learners to explore their thinking along with others. The experience enhances awareness of ideas by others. The silent task of posting and responding to posted comments and questions promotes every voice to be heard. For a more comprehensive list with details on strategies and tools, go to this resource section on Collaboration. That’s a great list of strategies for teaching collaboration. They could be useful in many areas where people need to work together, not just for students.